Comedy Masala ft. SAM YARBS (USA) | Singapore Headline Debut! 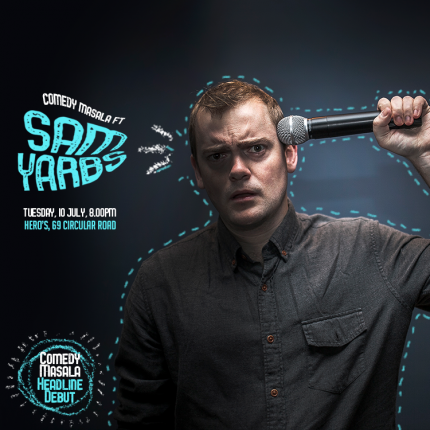 Sam Yarbs makes his Singapore Headline Debut live at Comedy Masala! Sam Yarbs is a stand-up comedian from the USA living in Taipei, Taiwan. He was second runner up in the 2017 Bangkok Hilarious Stand-Up Festival, a finalist in the 2017 Shanghai International Comedy Festival, and a two time finalist in the HK Comedy Festival. in 2018 he was a headliner at the 2nd Asia International Comedy Festival at TakeOut Comedy in HK. Sam is the co-founder and manager of Two Three Comedy in Taipei, Taiwan.